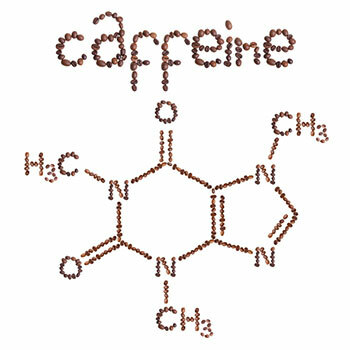 While it may not fit most people’s idea of a drug, caffeine is the most commonly used psychoactive drug in the world. (1) Found in various foods including coffee and chocolate, tea is one of the most common sources of caffeine, making it one of the most popular stimulants around today. Not many people know that caffeine is a drug, or that tea contains caffeine. Given its rising popularity, making people aware of the caffeine content in detox tea is paramount, as there are certain side effects that one should be aware of, especially when taking detox tea often and/or in high doses. 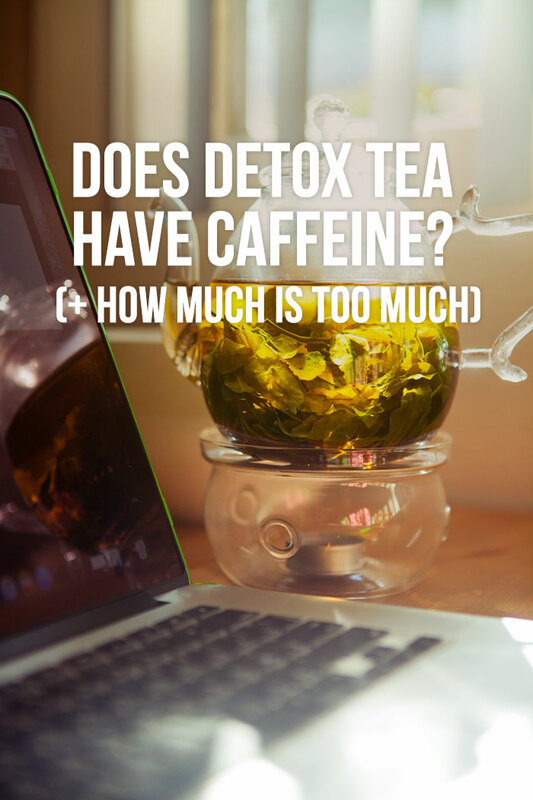 This article will discuss caffeine levels of detox tea, why and why not caffeine is beneficial in detox teas, and how much caffeine is too much. 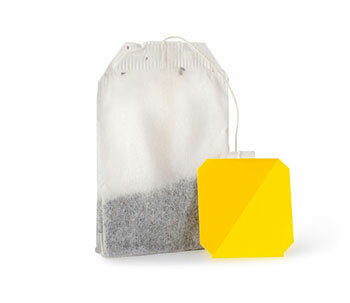 Does Detox Tea Have Caffeine? Whether or not detox teas contain caffeine is definitely dependent on the brand of detox tea you are using and what type of tea it contains. For the most part, many different types of detox teas contain at least a small amount of caffeine, with white tea based teas having the least amount of caffeine, green tea containing a moderate amount of caffeine, and black tea coming in with the highest amount. Most of the Yogi Detox Teas and Arbonne are caffeine free, as are the night time recipes of SkinnyMint Teatox and Lyfe Tea. Bae Tea, Matefit Detox, Traditional Medicinals EveryDay Detox, Fit Tea, and BooTea all contain caffeine. Why Is Caffeine Beneficial In Detox Tea? Caffeine is beneficial in detox teas for a couple of different reasons. Caffeine can help to speed up your metabolism, which can help with weight loss efforts. (2) Caffeine can also help keep you moving during the first few days of drinking detox tea, when you may feel sick and sluggish as the toxins are being removed from the body. Caffeine is also an appetite suppressant, making it easier to restrict calorie intake and ignore cravings for sugar, high-fat, salty foods. (4) During a detox, these foods are no-nos, and can impede your detox progress. By eliminating them completely from your diet, your body can purge itself of toxins without having to deal with incoming pollutants. Why Would I Not Want My Detox Tea To Contain Caffeine? While many different types of detox teas contain caffeine, there may be some reasons that you would prefer to not consume caffeine regularly in your daily tea. Some people are so sensitive to caffeine that consuming it even at the beginning of their day can lead to troubles sleeping many hours later. Ultimately, it is up to you as to whether or not you want to consume a detox tea with caffeine. Take into consideration if you are dependent on caffeine prior to starting to detox, as this is an indication of an unhealthy addiction to this drug and you should wean yourself off of it during your detox. You should also consider if you are overly sensitive to caffeine and if this will do more harm than good during your detox. 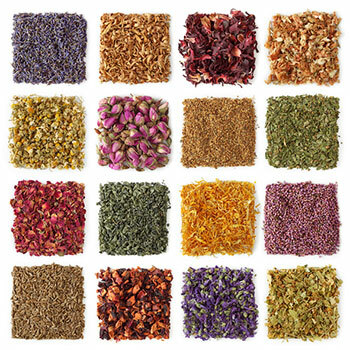 In any case, make sure to choose a tea that has a variety of different ingredients that will promote the benefits that you are aiming to achieve. What is the Recommended Daily Dose of Caffeine? Women who are breastfeeding or pregnant, those who have heart conditions, and those who are sensitive to caffeine or other stimulants should avoid detox teas with caffeine or other sources of caffeine. It is also important to talk with your doctor about the potential negative side effects of combining caffeine-filled detox teas with prescription or over-the-counter medications. What are Some Symptoms of Too Much Caffeine? As long as you are not consuming more than the recommended daily amount of caffeine, you probably won’t notice any negative reactions associated with this drug. One of the biggest complaints is irregular sleeping or unable to fall asleep, and feeling jittery. Other, more severe side effects of caffeine overuse include migraines, increased anxiety, upset stomach, and racing or irregular heartbeat. For those who are weaning themselves off of caffeine during a detox, you may find that there are a host of different withdrawal symptoms. Most people complain of what is known as a ‘caffeine headache’, usually originating behind the eyes and moving throughout the face and head. Many people also experience irritability and marked lack of energy as their daily stimulant is removed. For this same reason, people may find it is more difficult to concentrate at their job or in school. People also notice constipation as a result of caffeine withdrawal, as this stimulant helps to keep your digestive system moving regularly. Caffeine is a thermogenic and thus, some side effects may arise as a result of taking too much. Certain detox tea brands may contain more caffeine than others, in addition to other ingredients in the tea that have a thermogenic effect. Some questionable detox protocols require the user to take a cocktail of pills—all containing strong doses of stimulants, thermogenics and whatnot—in addition to tea, coffee, or other ingredients. Before you start a detox regimen, make sure you are informed of the upper recommended limits for adults, and that your detox foods or detox teas are within the prescribed limits. For safety purposes, always aim to be slightly under to account for any discrepancies in the declared caffeine content on the label. The liver is responsible for countless metabolic processes including breaking down fat for energy, processing toxins, absorption of nutrients from food, and many more. It is one of the largest organs in the body, so proper care and promotion of liver health is important in ensuring that the body does not become overridden with toxic build-up. Certain substances have been linked to acute liver failure. This can happen in as little as days or weeks, or over an extended period. There are also cases when liver function is compromised, but it is not yet considered liver failure. Impaired liver function can impact other organs such as the brain and kidneys. Central nervous system (CNS) stimulants are used by certain athletes to improve performance in training and in competition. 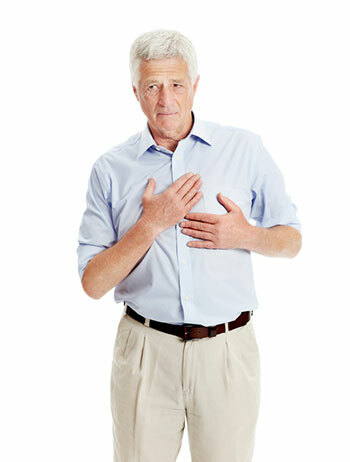 Although these have been linked to collapse, heart arrhythmia, and even sudden death from respiratory or cardiac arrest, the long-term side effects have been shown be minor or not mentioned at all. These CNS stimulants include ephedra alkaloids, caffeine, cocaine, amphetamines, and sympathomimetics. (10) Caffeine, an active substance found in cola, coffee and tea, is also an active constituent in pain relief medication. 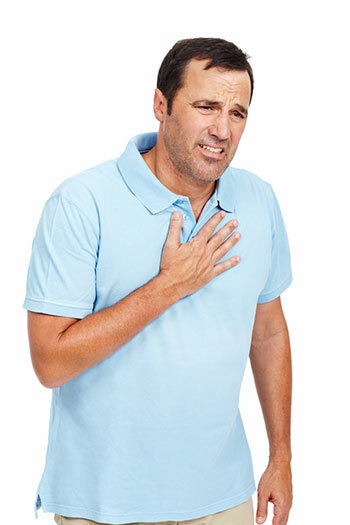 Ephedrine HCL, a sympathomimetic drug, has been used to treat infections, but it was originally supposed to be an asthma bronchodilator. It is less suitable for use due to its stimulant effect which has been linked to cardiac arrhythmia. It is also sold as Ephedra, which is the plant form of the drug. Hoodia, an African plant that is also commonly seen in weight loss teas or supplements, supposedly tricks the brain into thinking it is full, thereby helping you reduce calorie intake. However, studies proving this claim are scant, but it has been shown to increase blood pressure and heart rate. Detox teas have increased in popularity in recent years as more and more celebrities and social media stars have brought them back into public light. Detox teas can be a great way to rid your body of built up toxins in the liver and digestive system and help these systems work more efficiently at removing future toxins introduced in the body. When consuming detox tea, make sure to drink plenty of water, ideally between 80 and 128 cups of water, and consume plenty of fruits, vegetables, nuts, and lean proteins. Doing these things will ensure that your detox tea course, whether or not it contains caffeine, is as effective as possible.